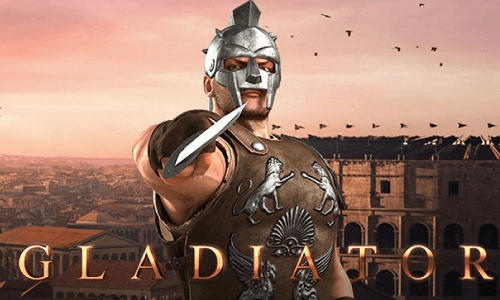 Enter the Colosseum and fight the other contenders to win the Gladiator pokies jackpot. In this casino game developed by BetSoft, you will be taken into Ancient Rome where gladiator combat was a way of entertainment. However, in the Gladiator pokies game, the fight is worth gold. This pokies game is a five and 30 paylines. 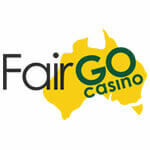 You have the choice of how many paylines you want to bet on and the wager of each payline. This casino game has features that can improve your winning chances. 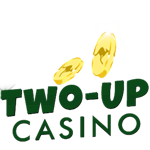 Read on to find about the casino game bonus features. The pokies game has more than one wild symbol, and each has a unique way of getting you those winnings combinations. The first one is the Princess wild, and it awards the 2x wild. When the symbol lands on reel two, three and four the feature is triggered. The princess will throw rose petals on the reels, and any symbol that is touched by the petals turns into the 2x wild. This means that any winnings made from the wilds will be multiplied by 2. The second wild symbol is the Gladiator, and it triggers the Gladiator Smash wild. When you land the Gladiator symbol on reel three in any position, the entire reel will be turned into marble. The Gladiator will the smash the reels turning the whole reel into wild. The will substitute all the symbols on the reels except for the Door and the Colosseum symbols. 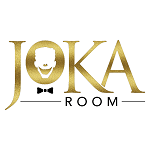 The Click Me bonus round is triggered when three or more of the Door symbol lands on an active payline. In this round, you will have to choose any of the symbols to reveal your instant reward. The game will continue until the Collect option is revealed. The Colosseum is the scatter symbol and will trigger the free spins. 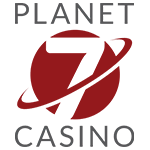 In this round, you will be awarded 25 free spins, and any winning made in this round will be added to your bankroll. 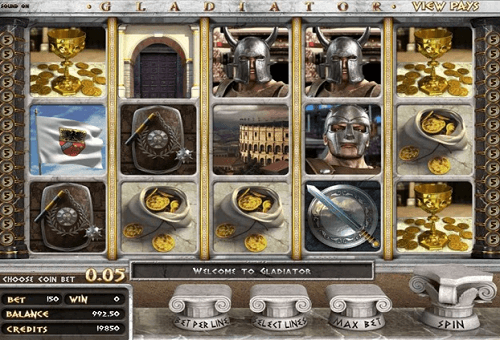 Land the Gladiator, the Colosseum and the Villain consecutively on paylines one, two or three on reels two, three and four to trigger the Gladiator battle. Choose your Gladiator and watch as he fights the villain automatically. Each attack made by your chosen contender awards bonus credits. If he Kos the villain you will be rewarded with an extra bonus. The Gladiator pokie game is packed with action and fun that has great rewards, especially when playing for real money. Play this online pokie game at the best BetSoft casinos. 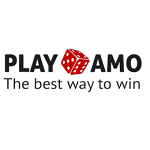 Signup to receive the best bonuses to play the game for real money.